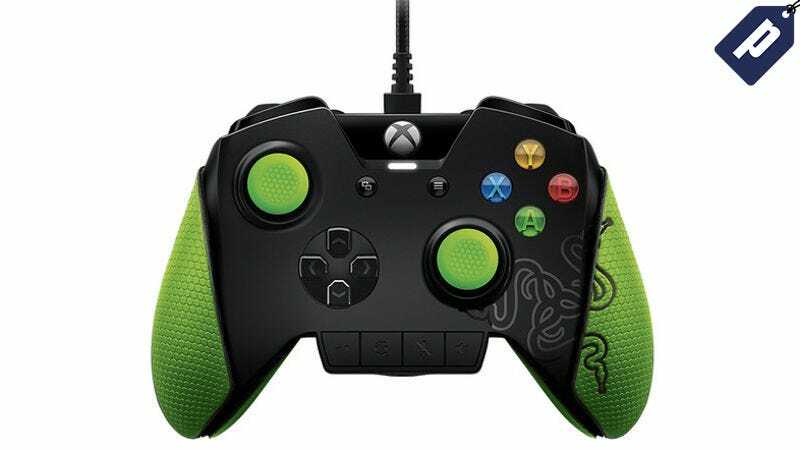 Razer’s WildCat Controller was designed with eSports athletes in mind, and is optimized for tournament play with 4 additional multi-function buttons for extra customizability. It’s normally $150, but right now Kotaku readers can pick one up for just $94.99 with code WCAT5 at checkout. The WildCat offers an enhanced gaming experience over the standard Xbox One controller - whether you’re an aspiring eSports athlete or just a casual gamer, you’ll love the ergonomic feel, anti-slip palm and control stick grips, and added customization with 2 extra bumpers and 2 removable triggers. The standard price is $150, and you can get it now for just $94.99, over 30% off retail value. Use code WCAT5 to apply the full discount.